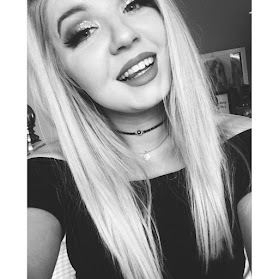 I've got my hands on so much new makeup lately and I mean it just wouldn't feel right if I didn't share this with you lovelies and show you what I have picked up. 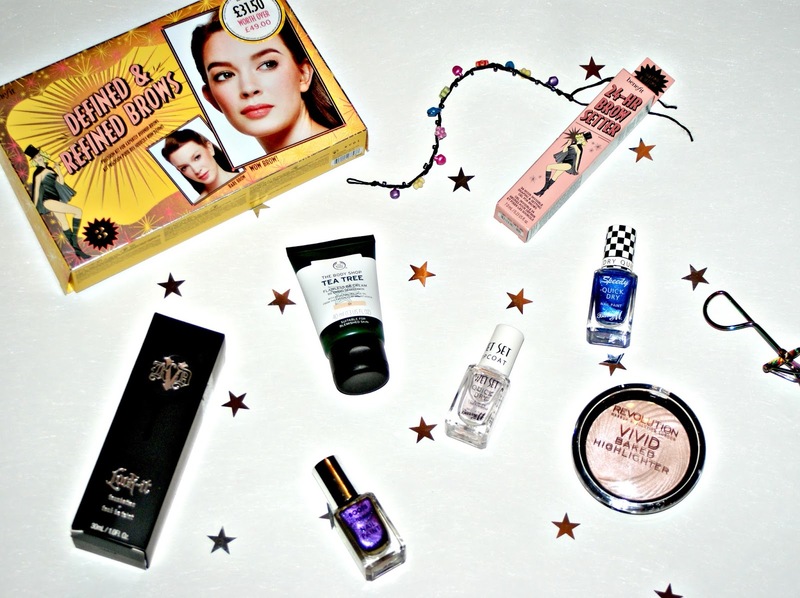 Obviously it's January so Its sale central but also I have a couple of items that were gifts which you haven't seen yet so I thought I would add them in to this haul. So the first thing I wanted to chat to you guys about is the Kat Von D Lock-it Foundation. I was lucky enough to receive this as a gift from one of my lovely best friends. I have been wanting this for soooooo long so I was way to happy to finally get my hands on it. There will possibly be a review of this coming your way soon. 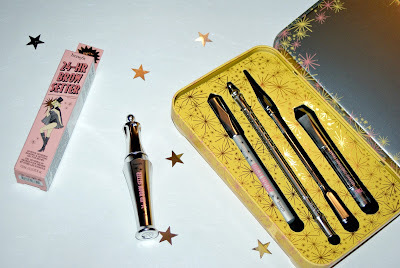 Next Up I recently got my brows waxed and tinted at Benefit and had the most lovely experience. They also used some of their amazing brow products on me and I just had to get them. I got the Benefit Precision Brow Kit which came with the Precisely My Brow Pencil, High Brow Highlighting Pencil in Linen Pink, The Browvo! 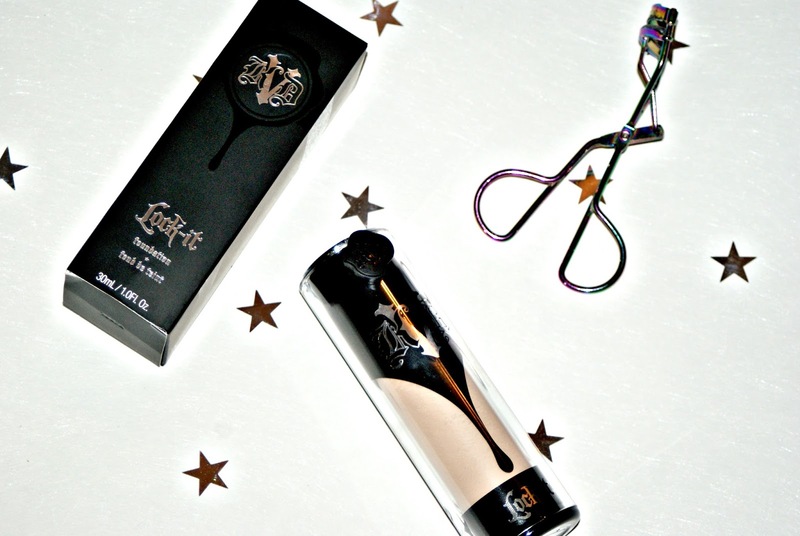 Conditioning and Thickening Brow Primer and a Brow Mapping Tool. This tin was such a bargain as it literally cost me £31.50 which considering you get full size products is mind blowing. I also picked up the Benefit 24 Hour Brow Setter Brow Gel as this stuff is amazing and keeps your brows fixed in place all day. 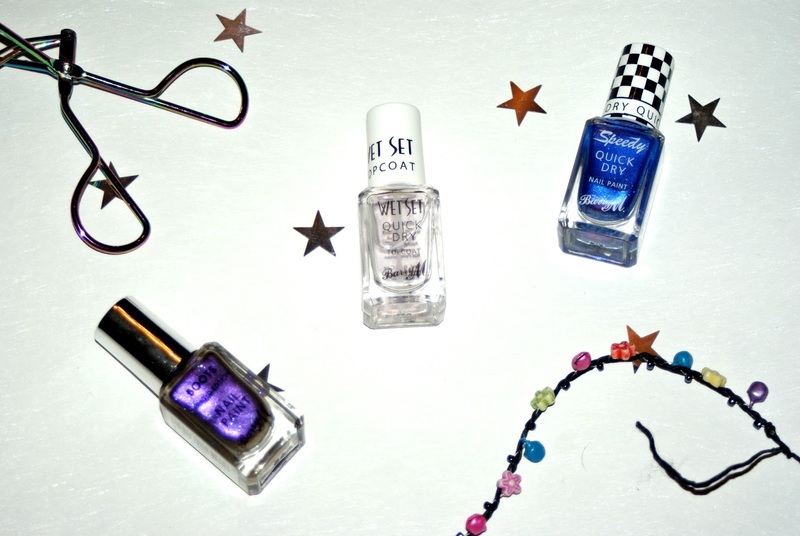 Next up I have these three Barry M nail polishes. These were actually popped in with my Christmas presents from my boyfriend but I haven't mentioned them yet but I love them. 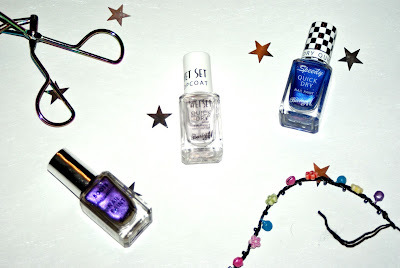 I have the Wet Set Topcoat, A Speedy Quick Dry Polish in 'Supersonic' and this gorgeous metallic polish which was a boots exclusive and is in the shade Mystic Purple. 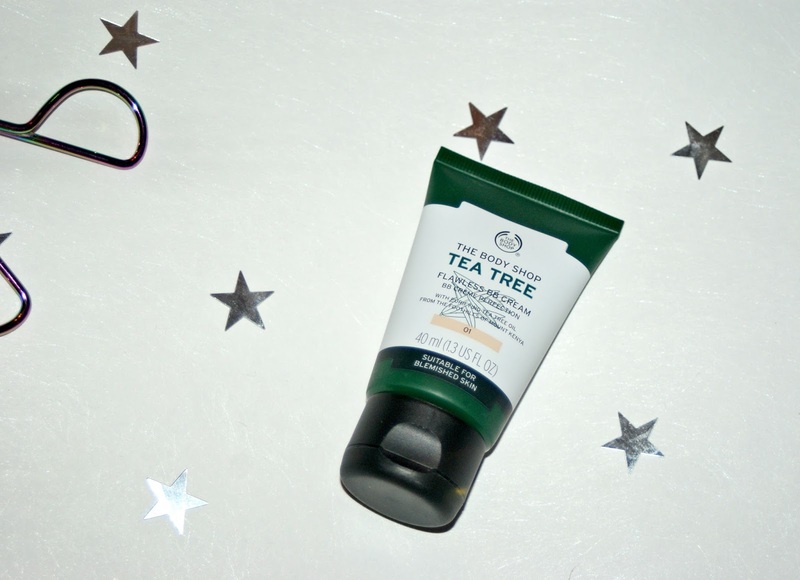 I then grabbed the Tea Tree BB Cream from The Body Shop. I got this as I wanted something to use daily that wasn't as heavy as foundation and this is perfect as it has some coverage and also does wonders for my skin. 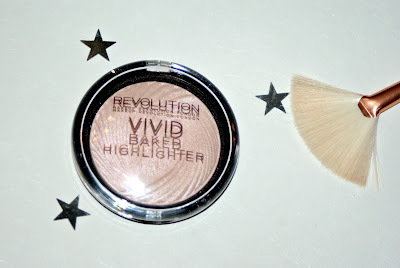 Finally I grabbed this highlighter whilst I was in superdrug, it is the Makeup Revolution Vivid Baked Highlighter in the shade 'Peach Lights'. I got this whilst in superdrug as I was looking for a pink toned highlight. So that's all for my little makeup haul, Hope you enjoyed having a look at what I have picked up in the new year for my face.